© 2000 Sonic Revolution © 2010 Re:Volte All Rights Reserved. This product was published at “M3” (30,Apr,2001) as the 4th original maxi-single. At that time, Ravy attended the class of a music theory and an intermedia composition as the optional subject of the university produced in the class problem at that time. 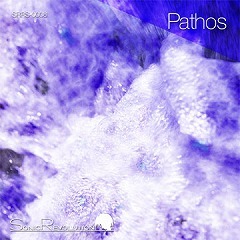 “Pathos” that is the 10th product from the start of activity well expresses the sense of Sonic Revolution, set off tricky sound of synthesizers. At that time, I had been told by the professor that “The science course student should produce the music that won’t be imagined from the approach of handling not a musical theory approach but software because you are surely inferior to the knowledge of the musical theory compared with the specialist. ” So, I challenged to produce tricky sound by programming approach.